Everybody Listen up! I hate to do that but with 90% chances of rain on Sunday and it seems like going up everyday, I am rescheduling for Saturday, where it is only 40% of shower later in the day. I have been watching the weather hoping the other way, so it will be a better plan. Troy can you edit the title and change the calendar? Should work for us. 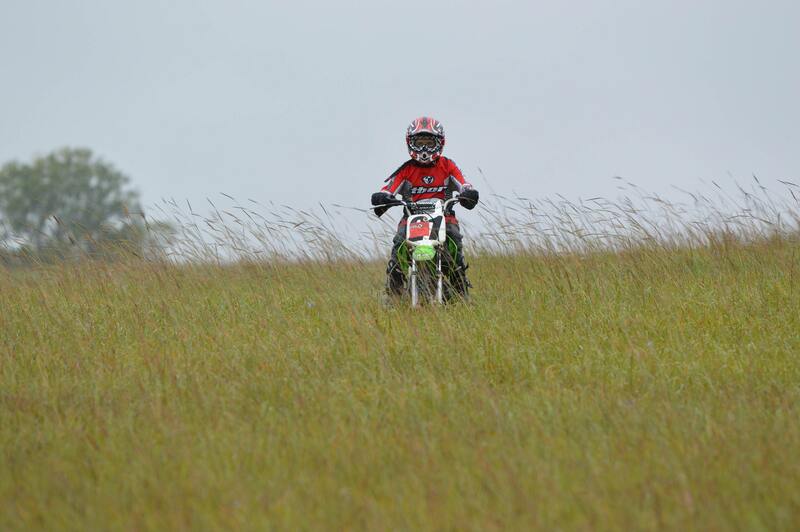 Hoping it doesn't rain too much Th & Fri.
Zachery and I plan to be there with a little KTM that Leo is sure to remember! Rachel and I coming Saturday. I am bringing an extra 110 should someone have a young person needing something to ride. It is suitable for probably 7 to 13 year old or so beginner. Lars, Lindsay, and I will be there Saturday. Pretty sure that I can't make it, but if I get free with the kids. I don't see an address or directions? This would be our first visit...? Did I just miss it? Can you put the big baseball tarp out tonight and then remove it before game time? Obviously since my last post, it has started raining. So far according to the radar we are a little bit above 1 inch. It is going to be slippery out there, I am just posting that so that those with little ones who will be travelling a long way are aware of it. It is unfortunately going to be wet and cold. too bad weather is not really cooperating this time, do not feel bad if you'd rather bow out. Ride is still on for the ones who want to ride. Great time, once again. 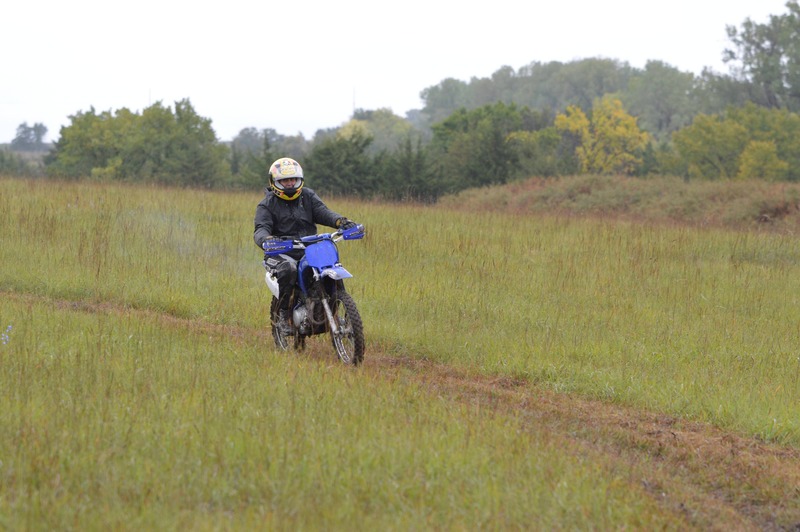 Lindsay (errr, I) picked a heck of a day for her intro to dirt biking. Lars said two or three times (before his tablet came out) what a great time he had. THANKS to Luc & family for hosting the ride day at their home! Mother Nature did not cooperate, but Luc is stubborn and refused to cancel. 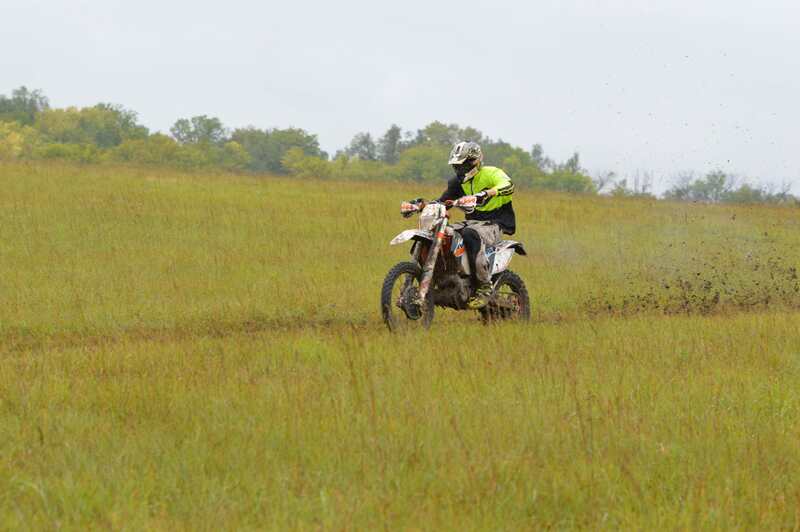 Plenty of folks showed up to brave the rain and mud....and boy was there mud! I was excited to come for a few reasons, but a big one was that Quinton overhauled my old 99 KTM 300 2-stroke! The list of items he fixed, replaced, or otherwise improved is a mile long! 2 weeks prior I dropped off a bike that wouldn't run and was in such sad condition one would have been tempted to junk it! I hardly recognized it when I saw it in the back of Quinton's truck. 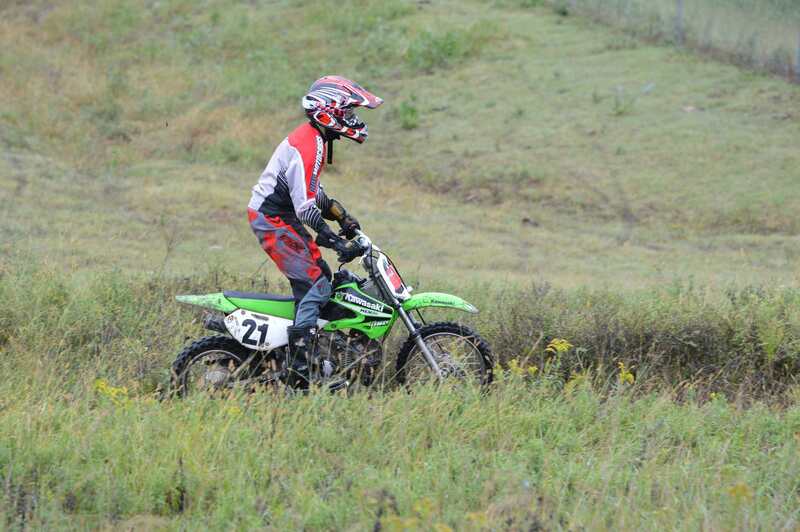 I hesitated to ride because the conditions were miserable, but Quinton said I had to ride it. IT'S ALIVE!!! 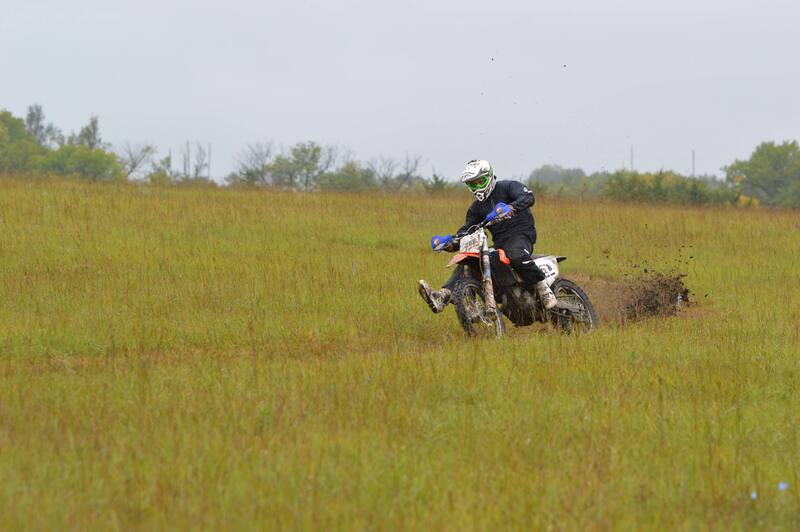 I left a few ruts in Luc's pasture, however, I left 0.73% as many ruts as Luc created! Thanks to savage & safiri for the great photos, too! My brother, KC, brought his son, Zachary, for his first ride. Z-man was amazing! I think he's dreamed of his first day riding a real motorcycle his whole life. 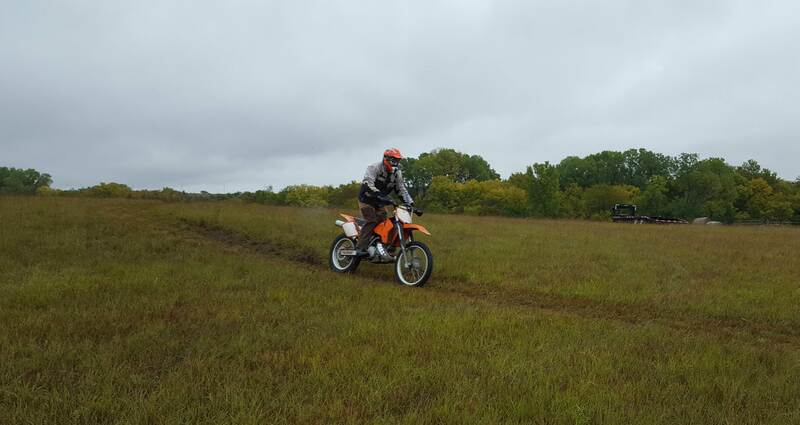 Despite really crappy weather for dirt riding, seems all had a great time! Thank you all for coming and braving the elements! 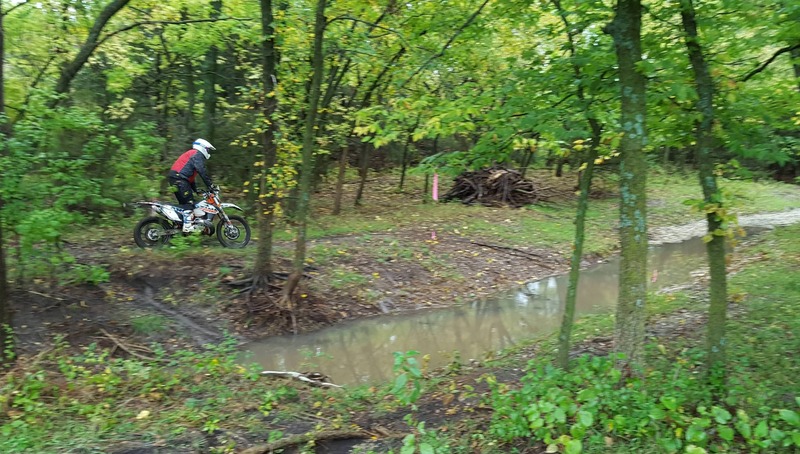 Those were definitely dicey conditions, plenty of sliding to be had and definitely not the optimal conditions for a first dirt bike ride! 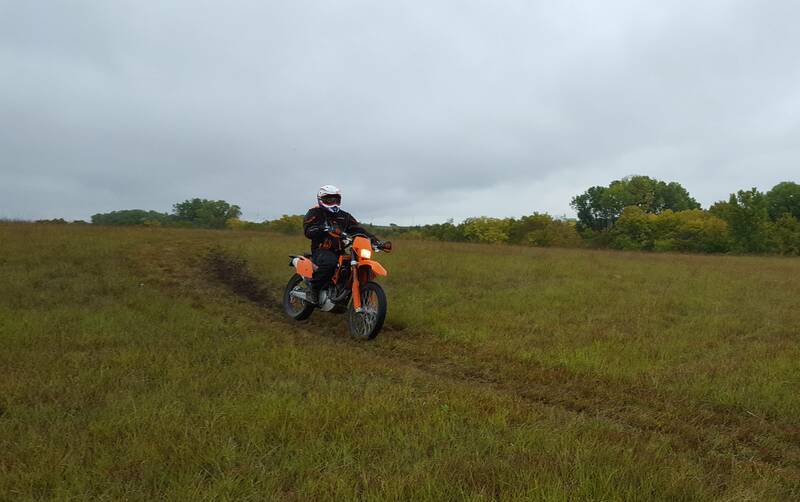 Kuddos to Zachery and Lindsay for sticking with it in such conditions for their first ride! Thanks Savage and Safiri for the great pictures! Sorry I did not take the time to take any.